To ensure all the functions of this site work as intended please use Chrome or Firefox browsers when navigating. Thank you! Note-taking materials, a calculator and snacks/beverages of choice. Business casual is the standard attire unless your command dictates otherwise. Please contact Jeremy at jeremy@vets2pm.com or 1-888-551-4251 extension 8. Yes, contact Jeremy at jeremy@vets2pm.com or 1-888-551-4251 extension 8. Nope. We’ve got you covered. 1. Hold-over your registration if we decide to move the course date forward in order to attain the minimum number of registrations. 2. Join our next monthly webinar course and receive a refund for the difference between the onsite and webinar course pricing. 3. Receive a full refund, minus $200 if your resume has already been started by us. Refunds will not routinely be given if you do not attend the course because we provide you a full year to attend the training by joining any future onsite or webinar course. If you do not have base access, Vets2PM will assist in identifying a sponsor prior to class start, but sponsorship cannot be guaranteed. I understand that sponsorship is not guaranteed and I will have the option to transfer to an online course or be refunded if I am not able to get base access. 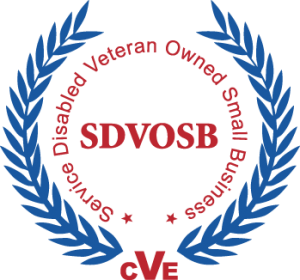 Please contact administrator@vets2pm.com immediately to inquire about base access. I acknowledge that base access is not guaranteed. Whom were you referred by? Registration includes 1 year access to the Vets2PM Student Portal. Access expires 1 year from your original course start date. Due to compliance with Texas Workforce Commission (Texas Administrative Code, Title 40, Part 20, Chapter 841, Subchapter C) personal funds may not be used to attend this course by any Texas resident. By acknowledging this waiver, you are confirming that you are NOT a self-funded resident of Texas. If your exam fee was included in your funding, you will need to have your exam application accepted by PMI and payment submitted to PMI for your exam fee within 1 year of registration. Please contact Vets2PM once your application is accepted to have payment for your exam fee submitted to PMI on your behalf. Because we provide lifetime career / placement assistance we will be entering your information into our applicant tracking system. We work with reputable employers who wish to hire veteran project managers, and this program enables us to connect you with these employers. If you wish to opt out of these services, please email cathy@vets2pm.com. By participating in the Vets2PM End-of-Course photo, I grant permission for the use of the photo and social media posts, hashtags, links, and/or tags on Vets2PM’s Website and/or Social Media Pages, such as Facebook, Instagram, and LinkedIn. I agree to the terms of the course waiver. Complete this form. Watch your email for your completed invoice to submit. Once payment is received you will get an email with next steps. © 2019 Vets2PM | Design by My Clone Solution | Privacy, Disclaimer, Terms and Conditions | PMP® and CAPM® are registered marks of the Project Management Institute, Inc.